One of the few things that I look forward to when I have to go to my Wells Fargo bank branch is looking at the photo murals there. On one wall are long ago scenes of Chinatowns and also pictures of the Filipino farm workers from the 1920s and 1930s. Wells Fargo also has a history blog from their archivists, which occasionally covers Asian American history. As it sponsors a blog featuring Asian American history and with an ad that shows Asian American couples as regular folks, Wells Fargo is not surprisingly on an Ad Age list of the top 10 marketers to Asian Americans. Other top marketers on the list are Toyota, JC Penney and McDonalds. Toyota has been a sponsor of the San Francisco Asian American Film Festival. JC Penney had a marketing effort targeting Asian Americans, where they commissioned a wonderful little song by David Choi and Kina Grannis. 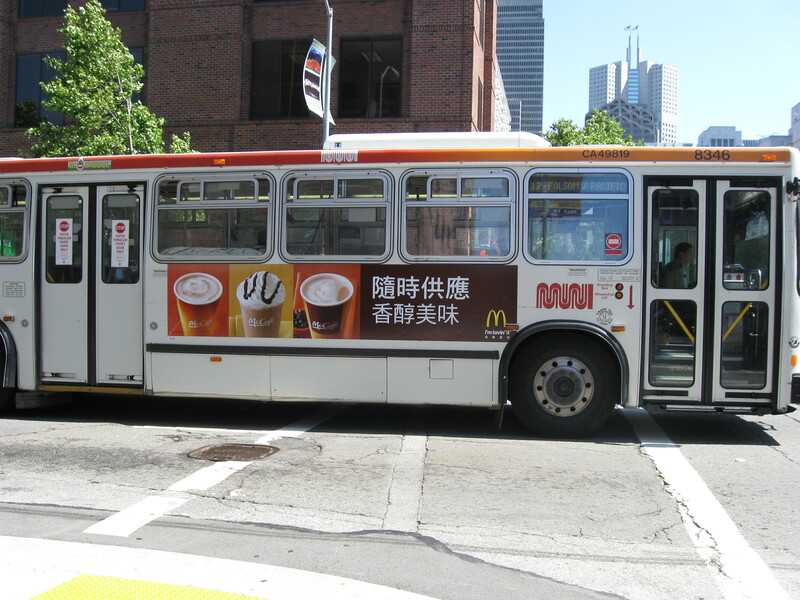 The McDonalds ad on the left is on a bus in San Francisco, and McDonald’s also has a web site targeted at Asian Americans – www.myinspirasian.com. I wouldn’t necessarily buy a product just because they show Asian Americans or use a language that’s familiar to me (my Asian BMI doesn’t need any Big Macs), but doing so does get me to notice, which is half the battle in advertising. Finally, it’s good to see a top 10 list, especially compared to advertisers on the bottom end such as KFC or Salesgenie.com.